There are tons of points blogs out there that break news, and get information out to hobbyists quickly. I’m thankful that they do, and many do an excellent job of it. 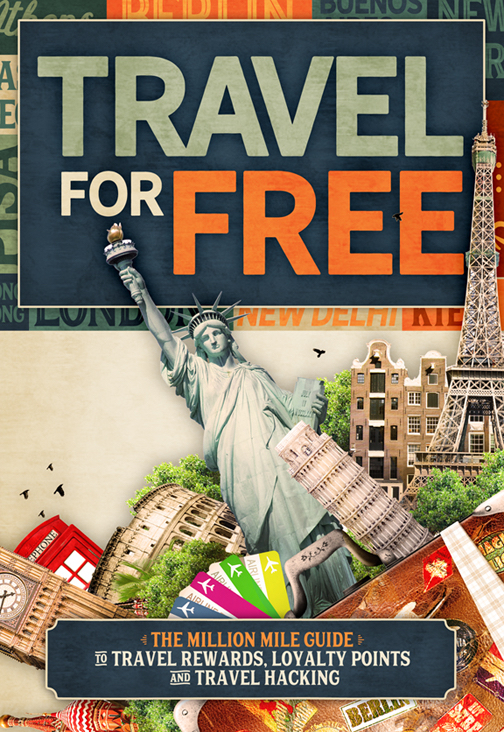 On November 3, 2017 major points sites like Flyertalk, DoctorofCredit, FrequentMiler and many others claimed that the the Post Office wasn’t viable for manufactured (nonorganic) spending. Most of the news said that the post office was now “hard coded” to not accept debit cards for money orders, thus putting an end to its MS viability. At the time, that news seemed strange to me, since that same morning I was in my local post office getting money orders from debit cards. Either the change hadn’t taken place at my particular store, or MO’s were still allowed via non bank debits (gift cards). I shared the intel with a few friends and didn’t think much of it. 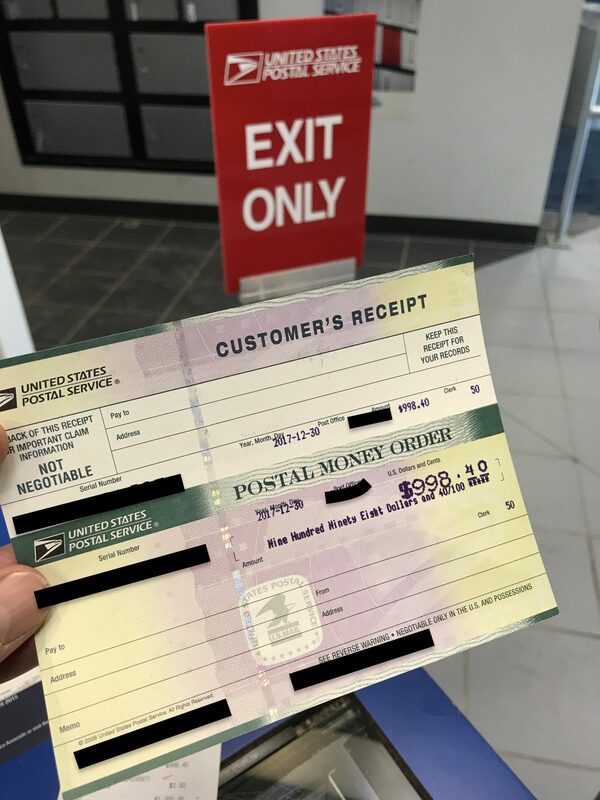 Post office money order prices are often more than double what other places charge too, so it’s not a place that sticks out as a liquidation first option. After going there again this morning and accomplishing the same thing as the day the news broke, I thought I would share the intel with others. The Post Office isn’t dead for manufactured spending. It still very much accepts (multiple) debit cards for money orders as you can see from this photo taken earlier today. At this point, I only know that Mall of America (MOA) debit (gift) cards work at the post office. These cards are Vanilla, and can be liquidated at other places as well, including many supermarkets. Probably the best thing about the MOA debit cards though is the $2.00 fee, which is roughly half of what other mall competitors are charging. 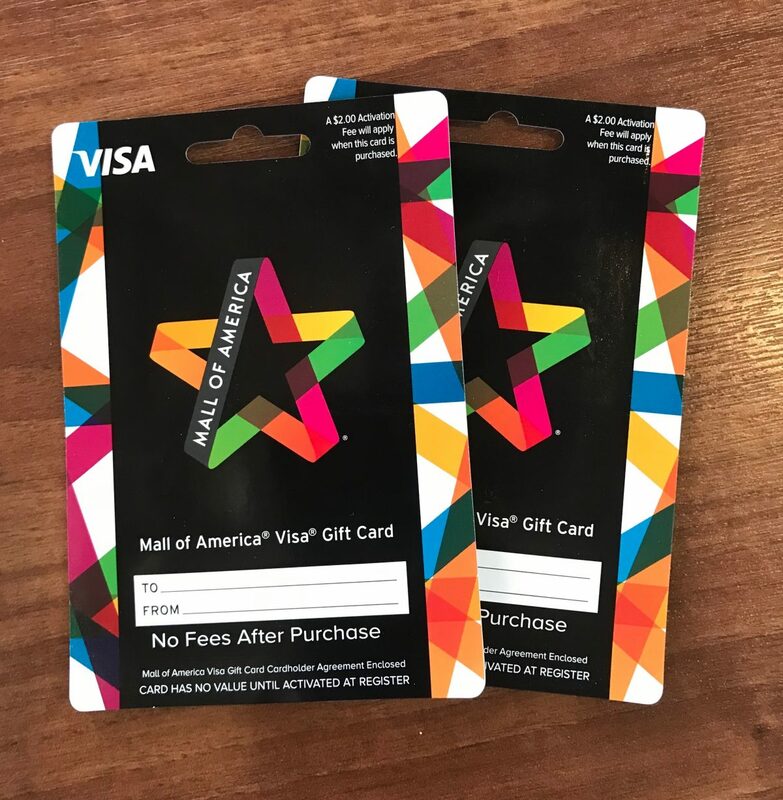 The downside to the deal is that MOA places a $1,000 restriction on the amount of gift cards that can be purchased in a day. Corporate customers must pay via a wire transfer so that isn’t an option anymore either. Mall of America Vanilla debits with a $2.00 fee. The Triple Five Group owns Mall of America, but to my knowledge and per their website, no other malls in the U.S. There also have the West Edmonton Mall in Canada, although I’m not certain what debit card purchases would be like there, or if they would work in the U.S. For anyone who lives in the Edmonton area though, it’s definitely worth checking out – especially their corporate program. It’s possible there are other forms of Vanilla debits that still work at the post office too, but I’m not aware of what those are right now. It’s understandable that most of that post office intel was just recycled news from other websites. Also, if MOA debits are the only cards left that do work at any Post Office nationwide, then that liquidation option is extremely confined and not an option for most people. The takeaway from this news probably isn’t that MOA cards work the post office, but that their system isn’t hard coded to not accept some debit cards. Finding out which cards may work for you in your area, and for stores near you, is the key. Good luck!